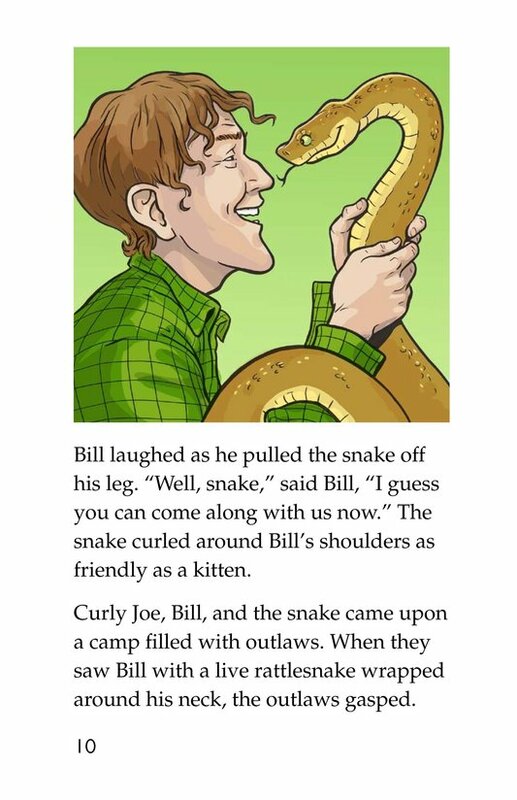 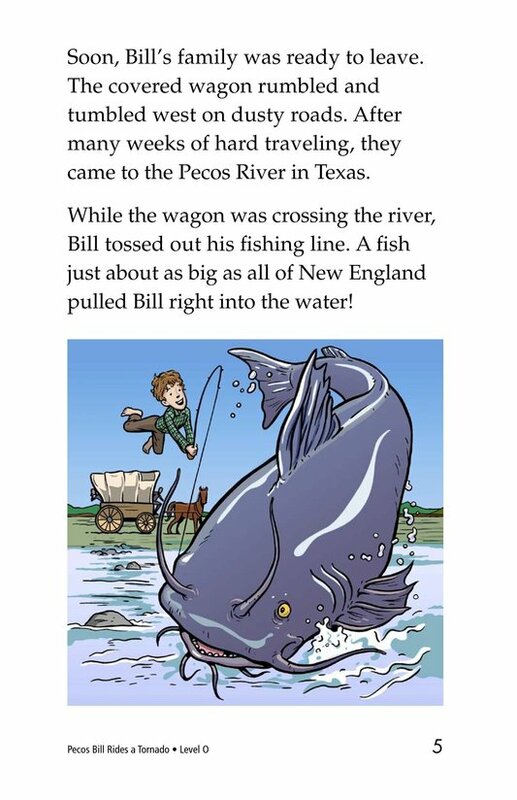 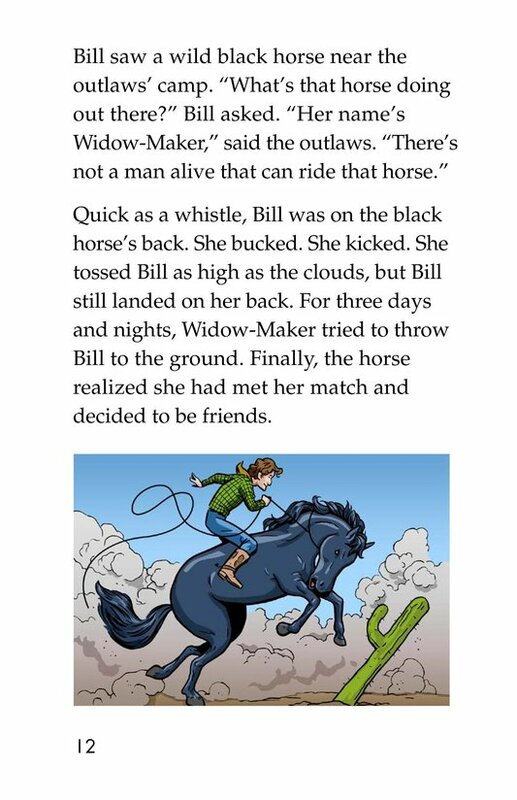 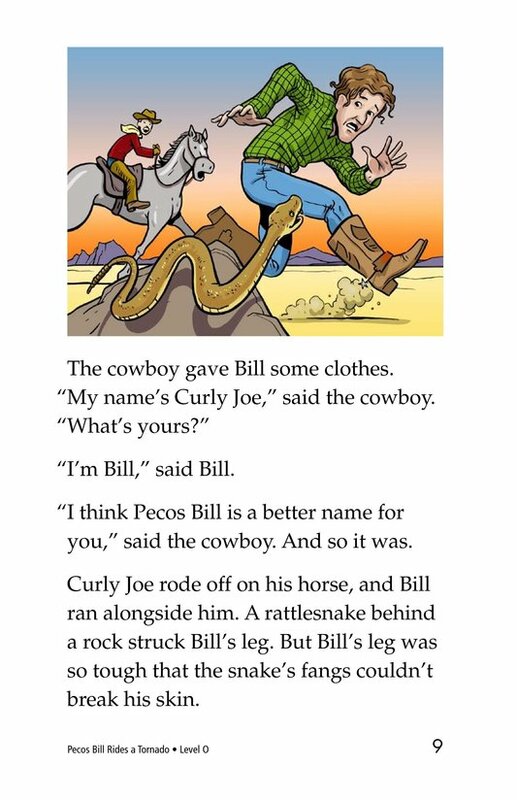 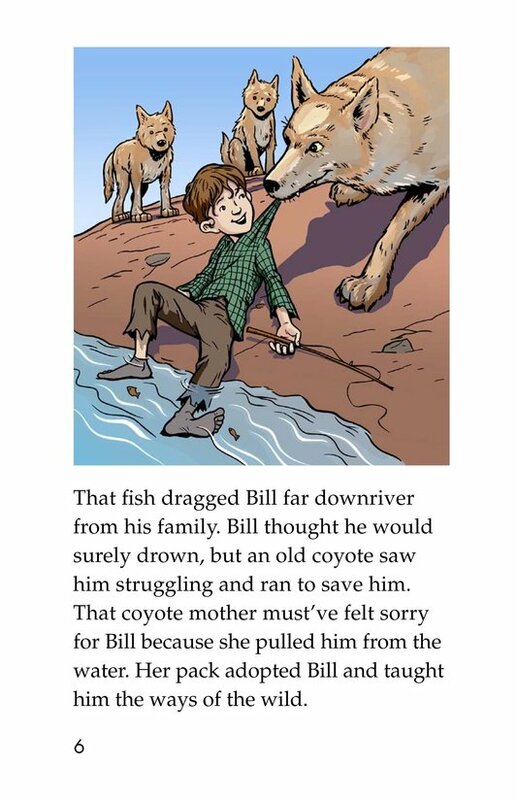 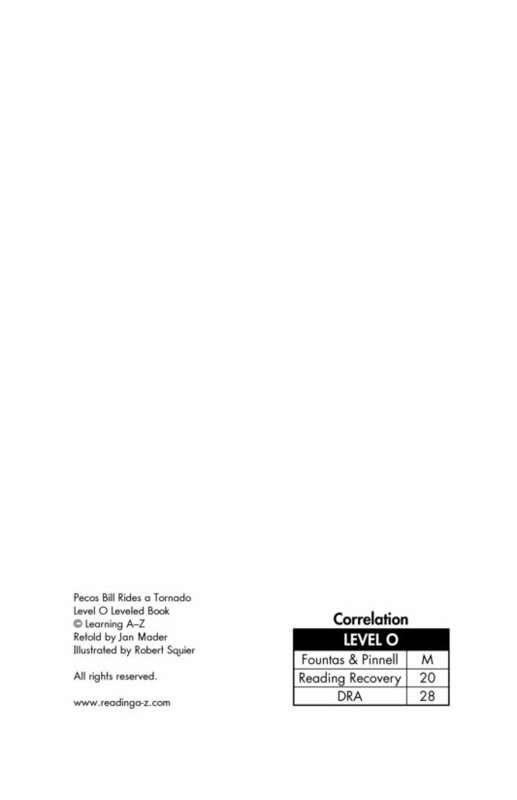 In this tall tale, readers learn all about an American hero. 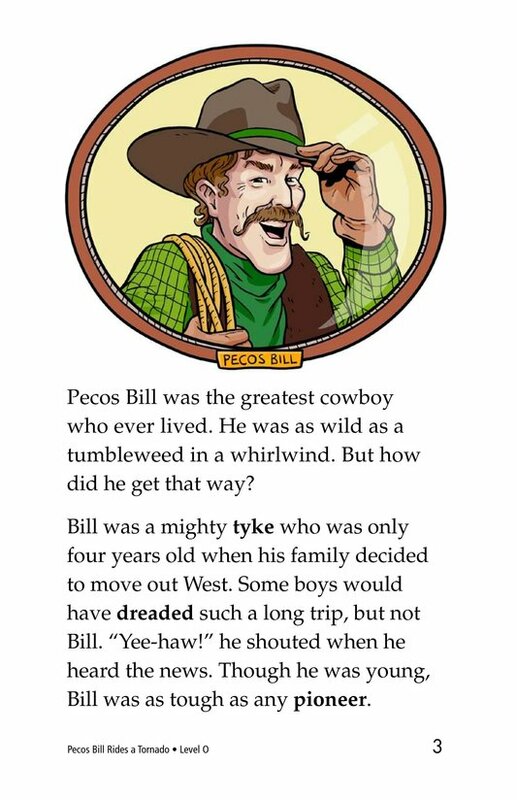 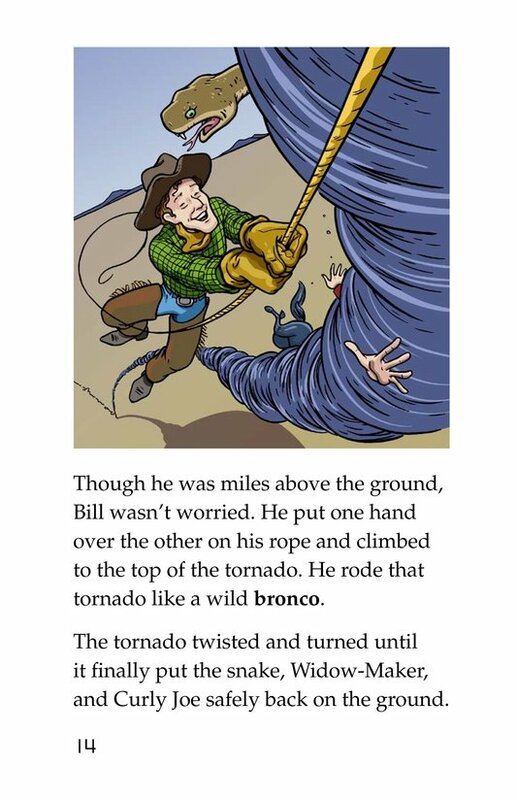 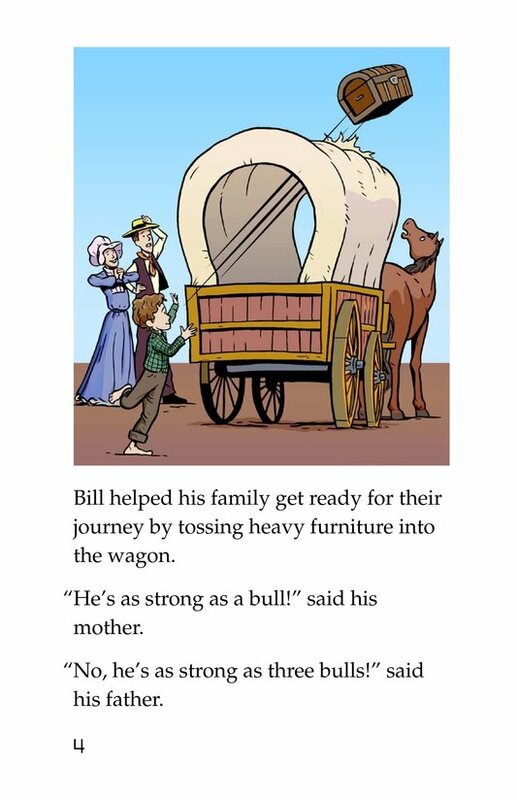 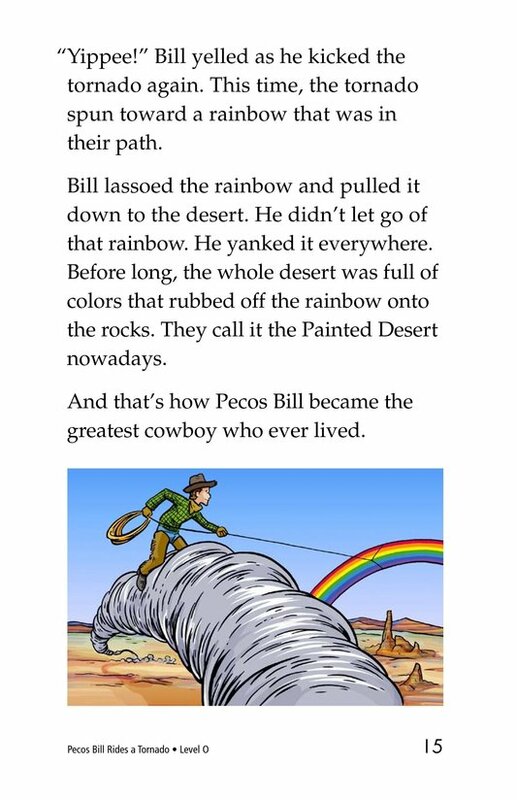 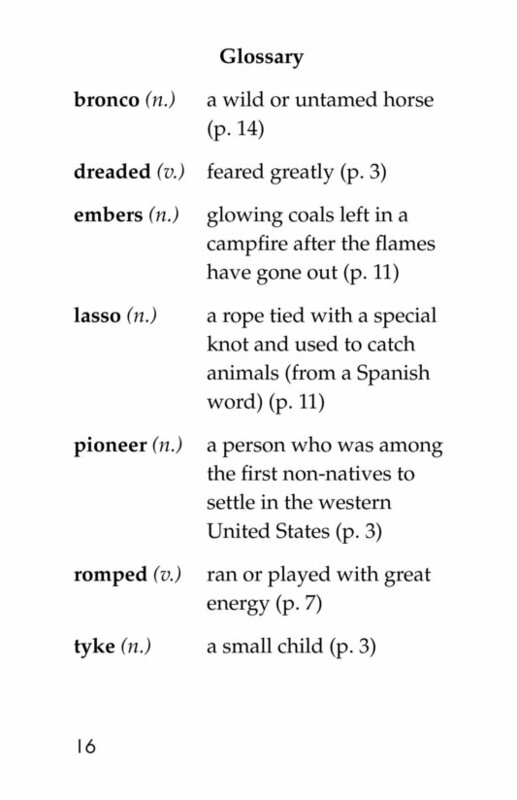 Pecos Bill was an extremely strong boy who was accidentally separated from his parents at a young age. 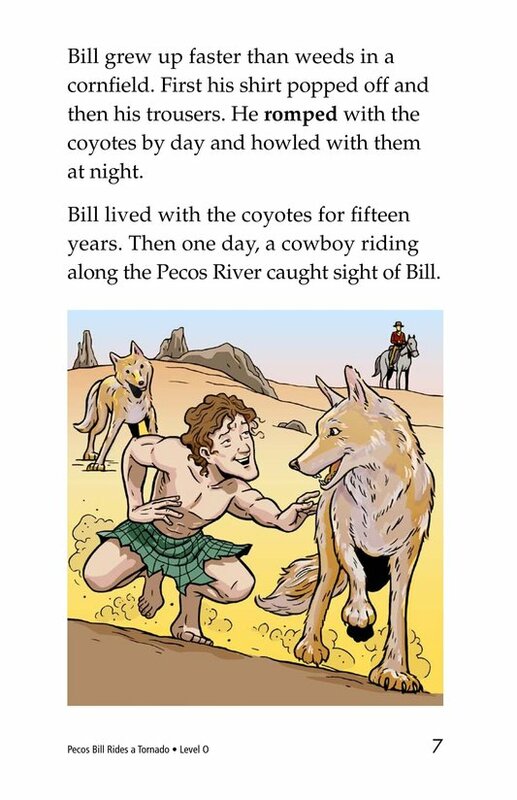 He was found and raised by coyotes in the wild, where he lived for fifteen years. 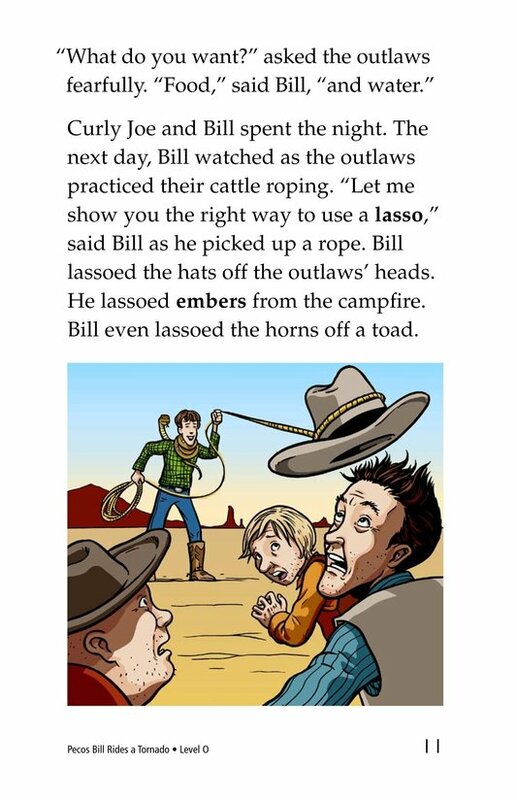 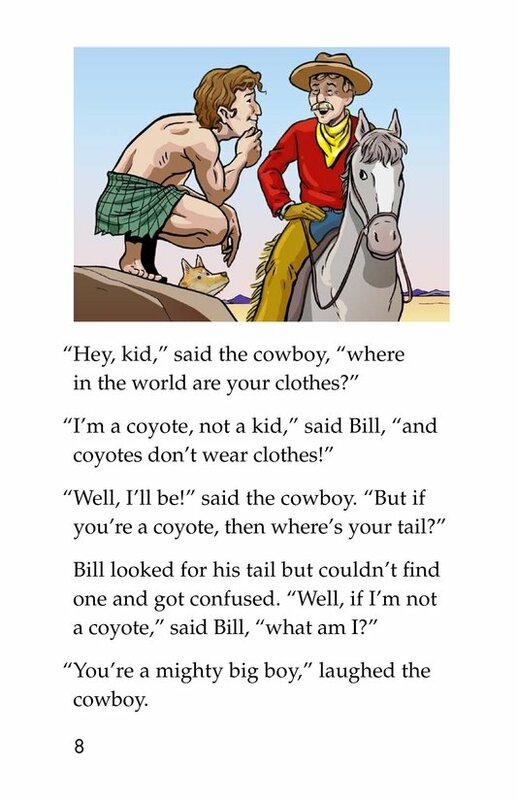 Eventually, a cowboy found him and brought him to civilization, where Bill outsmarted outlaws from the Wild West and tamed the wildest of horses. 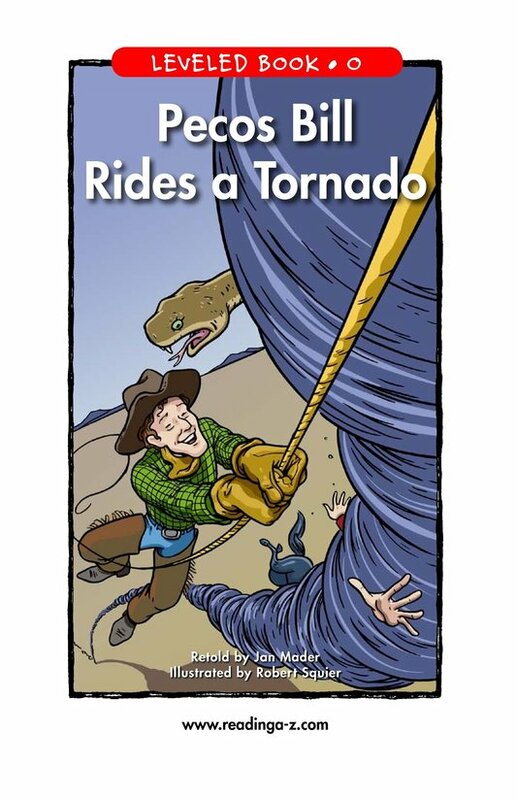 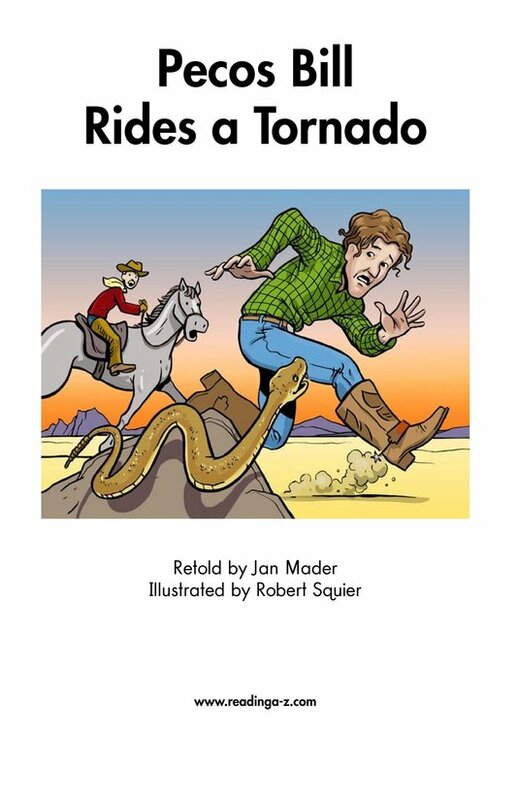 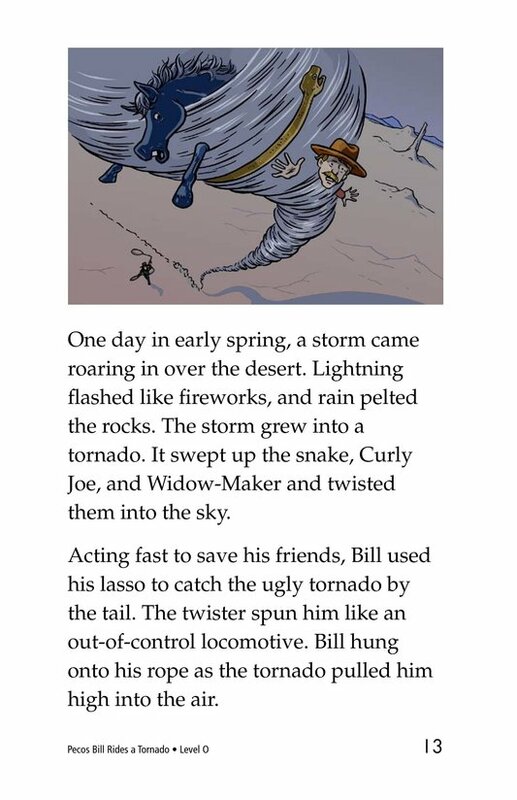 But that was nothing compared to the adventure during which he lassoed a twisting tornado and rode it like a wild bronco!